Already figured out what you are going to get for your new gaming rig, but can’t decide on a case? 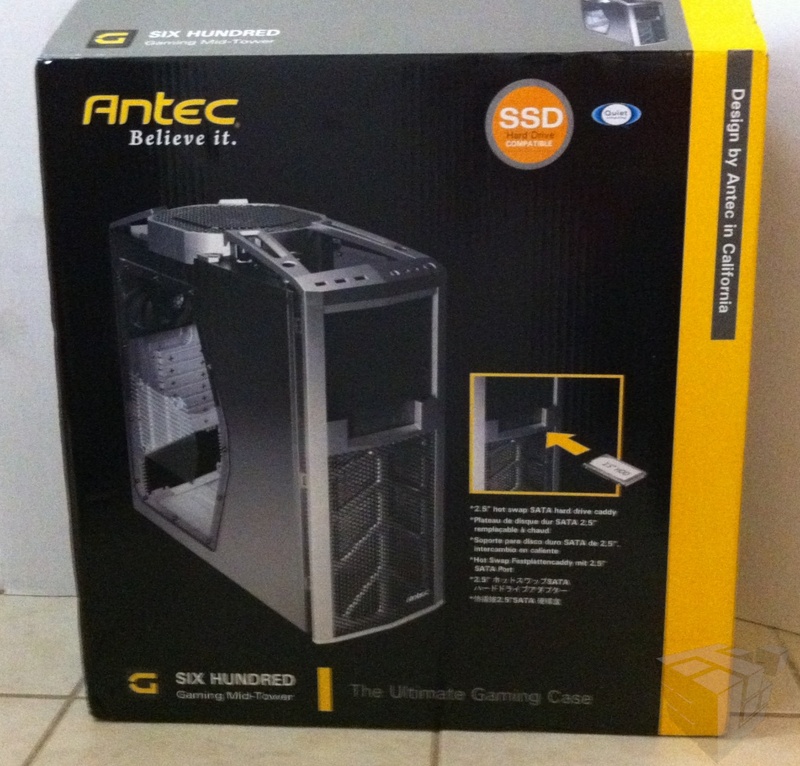 Take a look at what we just got from Antec. 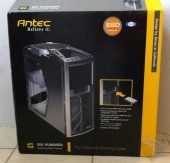 The Antec Six Hundred v2. This mid-tower can hold up to six 3.5″ HDDs, three 5.25″ drives, and has a bottom mount for 2.5″HDD/SSD as well as front-loading 2.5″/SSD hot-swap bay for quick drive changes. Not only that, but the Antec Six Hundred can hold up to an 11.5″(292mm) video card which should fit all but the most extreme video cards. Still interested? Good. Read on to find out more about the Antec Six Hundred v2. The Antec Six Hundred comes boxed in the usual fashion with Styrofoam and plastic, so you shouldn’t worry about this shipping to you damaged. All the screws and manuals come in a zip-top bag. The manual does not differentiate between screws, but most of them have the same threading and there are enough to match for various parts of the rig. I disagree about finding better options for the $80 retail pricetag. Ive seen many of the options you speak about. I hope you have plenty of bandaids around for the cuts your going to get. Also the plastic on the ~80 models is very cheap and flimsy. Another area I personally think this model excels at is looks. It doesn’t pretend to be a transformer or an airplane. This is a case I would not feel ashamed to have at a LAN. I think I failed to mention something. While the case was lacking a few features, it was made very well. The edges are all smooth. The case is rigid, and light. It’s a very well made case with that lacks a few modern features. But, unless you plan on going in and out of your case, the lacking features are only going to be a problem once. No cable management? Gray interior? Dumb HDD orientation. No removable HDD cage. Not tool less. What a joke this whole thing is for its price. Are they even trying to compete with CM or the others? Personally I find the cable management very poor in this chassis. I realize it is 80 dollars but there are other PC cases in the same price category with far superior cable management. Antec just isn’t listening to their customers. Could’t agree more Robert. Utterly useless and ugly interior and many more better options out there. 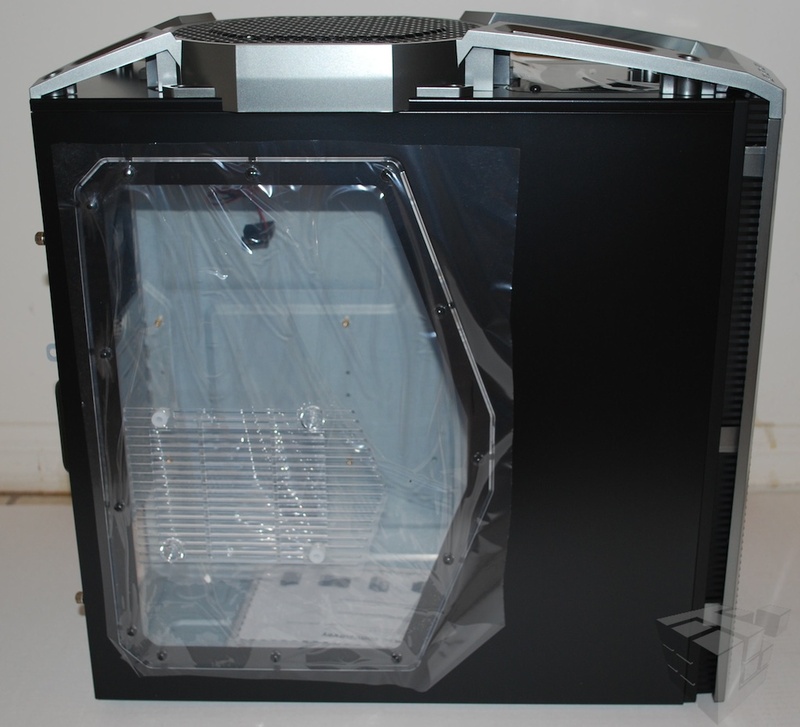 Antec used to be on everyone’s shortlist for a case but these days they are falling behind rather severely. 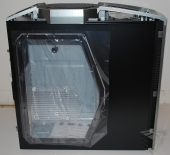 Consider something such as a CM690II from Coolermaster or even one of the cheaper Zalman cases which go for a song and have pretty good options for cable management etc. I agree. It has cable management, but it’s more of an extra space to shove cable so they don’t hit fan blades. And with the way Gigabyte puts their ports on their boards, you’re guaranteed to have cables everywhere.